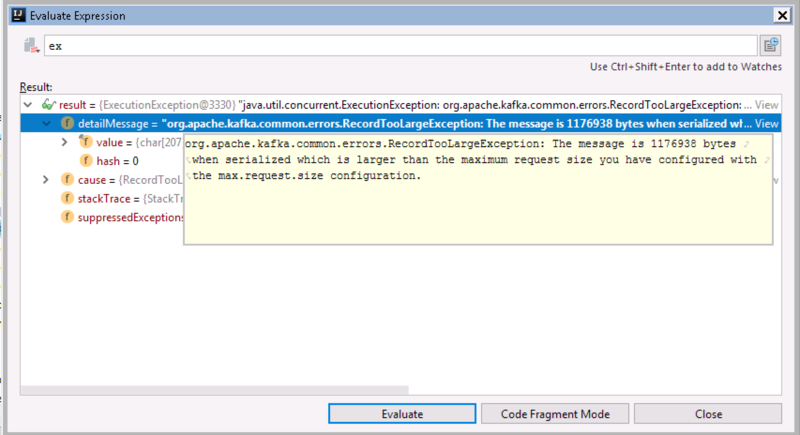 As soon as the message size increases, Kafka starts throwing errors when sending the message. 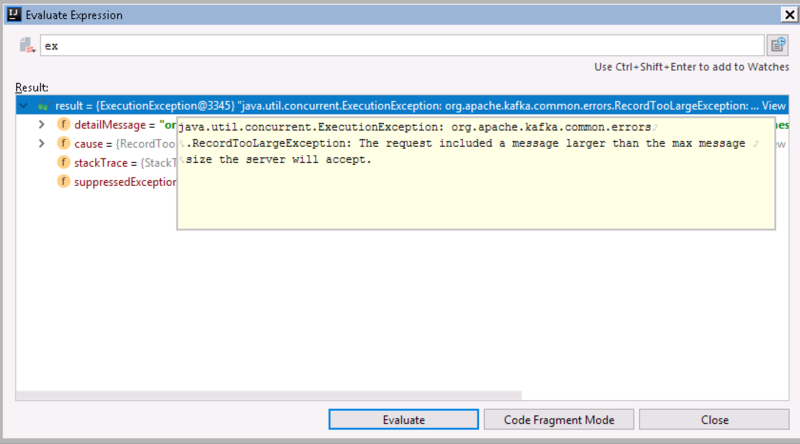 Here are the error message we received when sending a message with size a few mege bytes. The message clearly suggests that the size needs to updated in some configuration file before we could send it. Since we are specifying the sending details in the properties configuration, let’s add the configuration for the message size in the properties configuration too.